I've recently acquired my Dad's 06 Dyna Super Glide 35th Anniversary edition (image below) as my first Harley and the first thing I've noticed (after coming from a Ducati) is how terrible the front brake is. 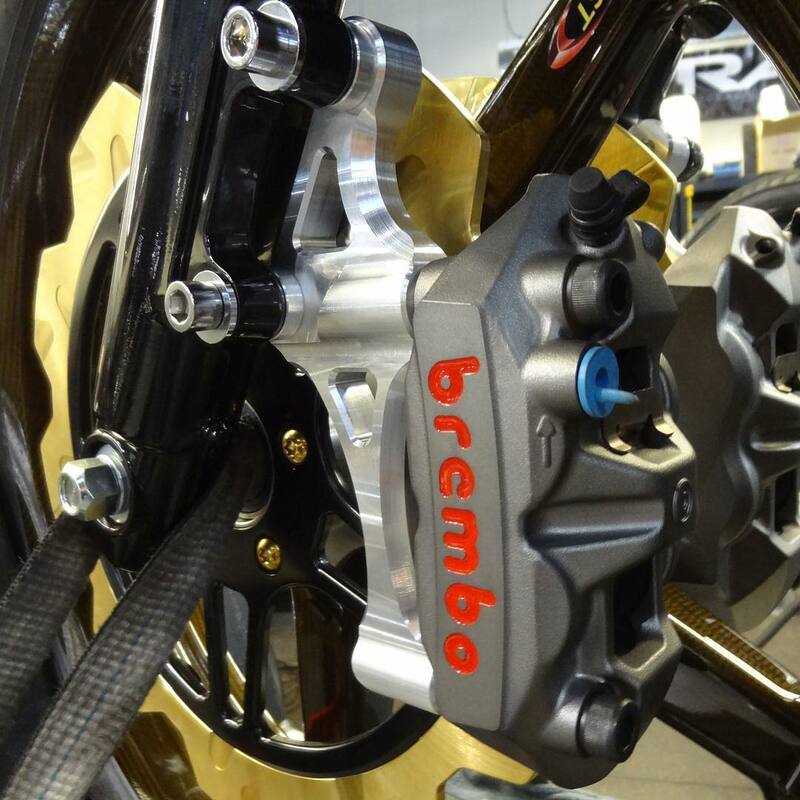 I've read around the forums and have considered two options: The Harley Brembo upgrade or going with a 4 or 6 pot Performance Machine. I've had good experience with Brembo before so I'm looking at that but given so many model variants and compatibility charts for general parts I can't work out if the Brembo will be a straight bolt on. The ONLY thing Im not 100% on is clearance of spokes, but I cant imagine it'd be a problem given you're current setup clears. another option is duel tokico's, one finger stoppies after that. Bolted straight on (needed new mounting bolts) using touring discs, early Dyna though. Anyone tried the Arlen Ness big brake rotor kit ? Only two finger braking needed . Yes, 06 on went to the larger 11.8" disc as standard, so they had to relocate the caliper mount position. I put the Arlen Ness kit on my Wide Glide last year, works a treat, get plenty of positive comments from other riders about it, there is a thread with pics in the product review sections, called Ness Big Brake Kit. Tokico's are off Japanese Superbikes etc, Speedmerchant make an adapter to bolt the straight onto the fork leg. Can even use stock Master Cylinder. I put the rear brake off a ZXR1000 on the back of my chopper and it was unbelievably strong. I dont think those setups work for spoked wheels on narrow glide front ends. Need to use the 300mm disc that stock on the Slim S and other 2016 bikes. The XR1200 master cylinder improves things even further. Yeah your right, I have several jappa calipers I bought thinking they would fit with no joy. In the end I just bought a set of solid spoke rims and now I can run any caliper I like. Depends. Stock 9 spoke you're also limited, 108mm radials wont work because theyre too thick and hit the spokes, same deal with lots of jap calipers like the blue spot r1s ive got. 13 spoke mags have a tiiiiiny bit more clearance letting you run 108mm radials, albeit very little clearance. Brembo Monoblocs on Stunner Cycles mounts with Galfer Wave rotors..
For now - OEM FatBob.